All materials / components are inspected. 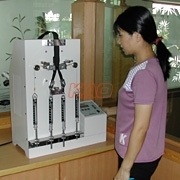 All products undergo strict QC before and after packaging. We have a quality control team who check the quality in production line 24 hours. We can find the problem and solve the problem right away while producing. Each quality control procedure involves strict methods with thorough checking processes by professional testing machine for resistance of chain to lateral load and reciprocating movement of slider...etc. We also can produce quality according to customer's exact specifications for garment and bag application. 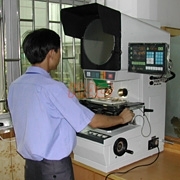 Initially, all materials/components undergo quality testing with quality assurance from our suppliers. Next, finished products are inspected before and after packaging. Finally, each product is checked before delivery. Kao Shing regularly trains it's personnel in-house and teach them how to enforce the quality inspection from everyday work. Prior to bulk production, we recommend that tests and trials are carried out on all zipper applications in order to verify that the product meets end customer requirements. Once the quality is confirmed by both buyers and sellers, we sellers will fulfill the order exactly according to the quality demand or sampling. Any special requirement for quality or testing method, for example the colorfastness, low lead, nickel free, side lateral strength, stone wash for jeans…etc, should be brought up in advance. 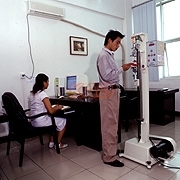 We have rigid testing procedures.